Are Teens Wired to Be Reckless Drivers? Teens’ brains may be hard-wired to engage in behaviors that have a high level of inherent risk, according to a recent study published in Developmental Science. Because the thrill-seeking center of the teen brain outmatches the brain’s emerging rational control systems, teens are likely at the mercy of their own developing brains. Driving and engaging in risky behavior is a bad combination that puts the safety of motorists and pedestrians in jeopardy. What’s Driving Risky Behaviors in Teens? Parents who suspect that their adolescent children are more reckless when compared to their younger children or other adults may be correct. Research studies have found that the cause for this increased risky behavior is an increased desire for sensation seeking. This desire peaks at age 19 and then gradually slows down, according to studies of more than 5,000 children from 11 countries around the world. In addition, teenagers have limited ability to stop the impulsive behavior or self-regulate. Research suggests that a person’s brain does not become fully developed until approximately age 25. Since the prefrontal cortex, where impulse inhibition, decision making, and judgment are centered, is not developed, it could explain why many teens may engage in risky behavior. The desire for new experiences or sensations is high at these ages, but the ability to control impulses is low, so they are likely to jump in with both feet before thinking about the consequences. This increase in risky behavior affects a teen’s ability to make safe decisions while driving. Teenagers are more likely to be involved in a car crash as compared to older adults. Because of this, traffic accidents are one of the top causes of death for people between the ages of 15 and 29. The best way to combat this risky behavior in teenage drivers is to add regulations that help keep them safe. 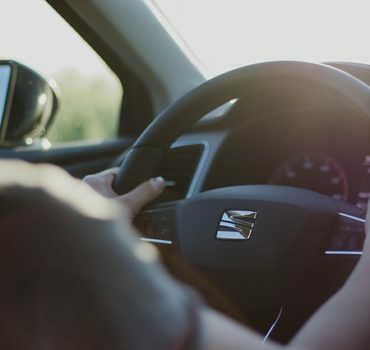 Lawmakers and parents can help limit the risk by ensuring their teenage drivers adhere to laws such as cell phone bans and teenage curfews. For other drivers who share the road with teenagers, understanding the risk these young drivers pose is important.